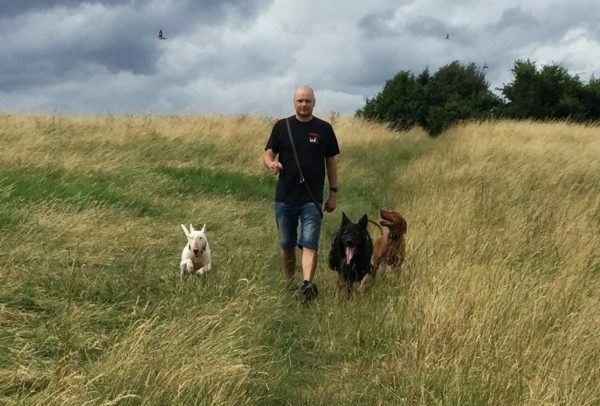 Our own dogs out on a Sunday afternoon stroll, Ruby (Viszla), Breguet (GSD) and Nancy (Bull Terrier). 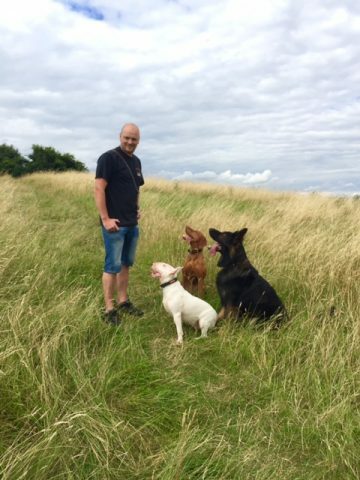 All three of our dogs are used as stooge dogs on one to one behaviour sessions and have fantastic temperaments. They can often be seen on walks or in training class.